In April 2013, China was hit by an earthquake of magnitude 7 with epicenter located in Lushan County, Ya’an, Sichuan. The earthquake had resulted in hundreds of fatalities and over 10,000 people were injuired. Several townships suffered major damage and buildings collapsed. 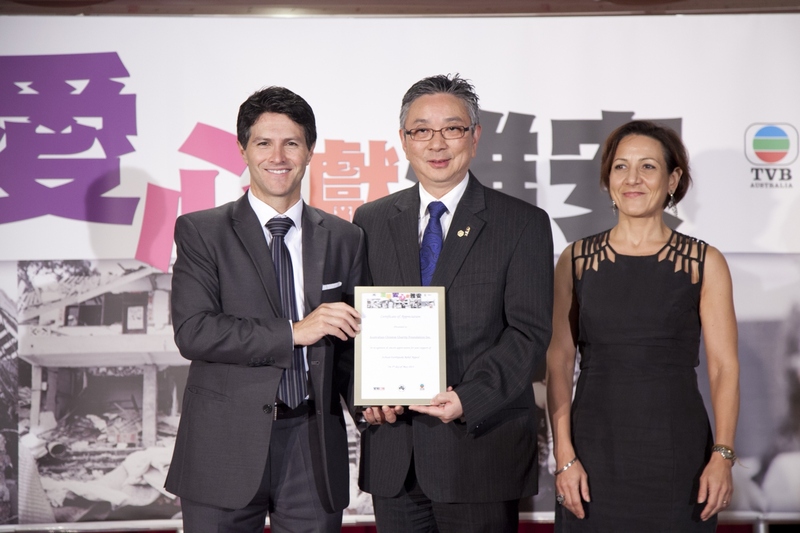 Together with TVBA and Sing Tao Newspaper, ACCF launched a major appeal to assist the victims of the disaster. $151,519.39 was raised through the various activities organised including a major fund raising dinner on the 5th May, 2013. All the money was subseqently handed over to World Vision for their work involved with this earthquake.